The Honor 6+ is now available for the first time throughout the UK. The Honor 6+ is the world’s first 4G smartphone that comes with dual 8 megapixel rear cameras, which combine to take stunning 13-megapixel images, even in low light. Available from Three UK today and on pre-order through Amazon.co.uk, the Honor 6+ comes equipped a 3600mAh powered battery with patented power saving technology which lasts through two days of moderate usage. The new flagship smartphone from Honor, the Honor 6+ is available today throughout the UK priced at £299.99 SIM free. For the first time, UK consumers can also go into shops to touch, feel and experience the new premium smartphone available on a range of different tariffs from Three UK. 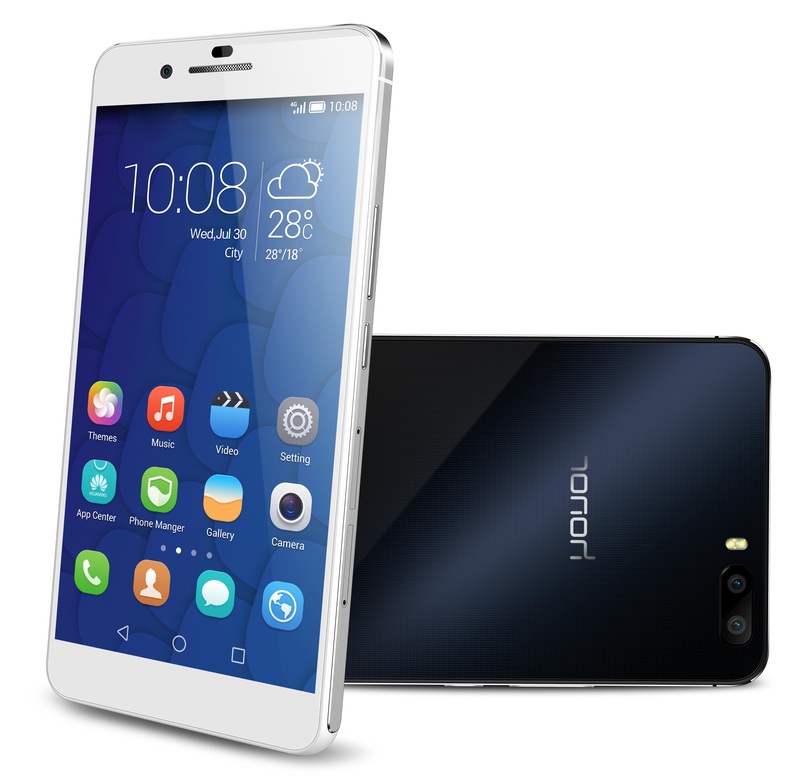 Three is the only UK network offering the Honor 6+ and the sole tariff partner in the UK. The Honor 6+ is also available to pre-order on Amazon.co.uk and will be available mid May. The Honor 6+ is the latest and loudest statement from Honor that proves the company’s dedication to producing high quality smartphones for ‘always on’ digital natives. The Honor 6+ is the world’s first 4G smartphone that comes with dual 8 megapixel rear cameras, which combine to take stunning 13-megapixel images, even in low light. Powered by a fast 1.8hz octa-core Kirin 925 chipset, the Honor 6+ is designed to support the busiest of lifestyles, with a large 3600mAh battery life, providing up to two days use on a single charge. The crisp 5.5 inch 1080 x 1920 HD display brings photos and videos to life, while maximizing viewing experience, be it browsing social media, connecting with friends or playing games. All owners and fans of the Honor 6+ are encouraged to join the official Honor Club to receive invitations to fan parties, events and be the first to know about BETA products and services. Supported by the Honor VIP Service, Honor 6+ owners can rest-assured that a complimentary replacement service and technical support team will be on hand to provide assistance throughout the UK.